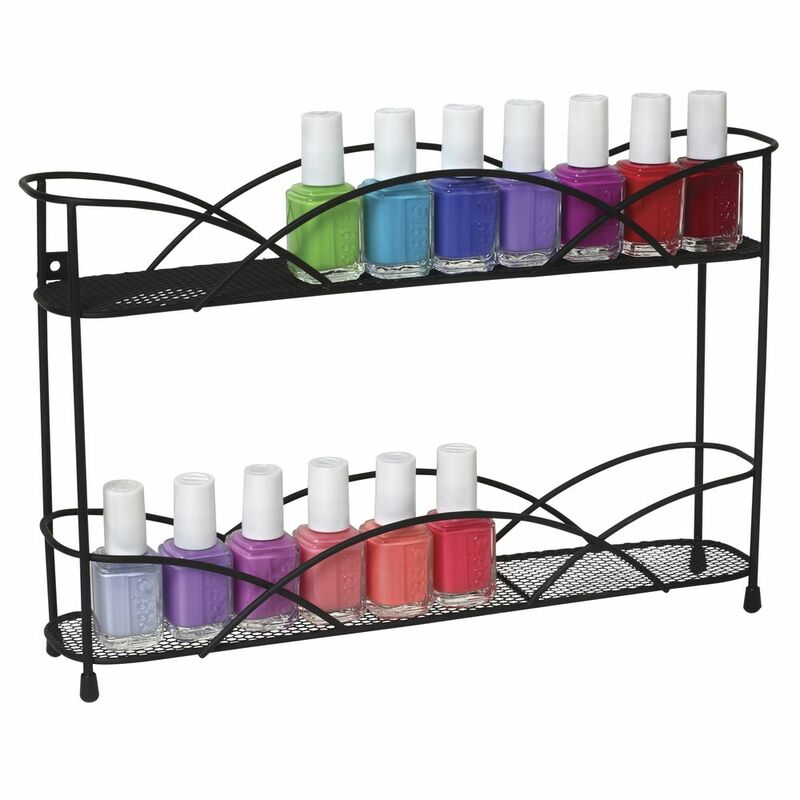 Neatly display and organize a variety of polishes with this nail polish rack. Made of steel with two mesh shelves that will hold 22 to 44 bottles, depending on size. Place the nail polish rack on countertops or mount to walls with the included hardware. Overall dimensions measure 13" x 2 3/4" x 8 1/2" (W x D x H). 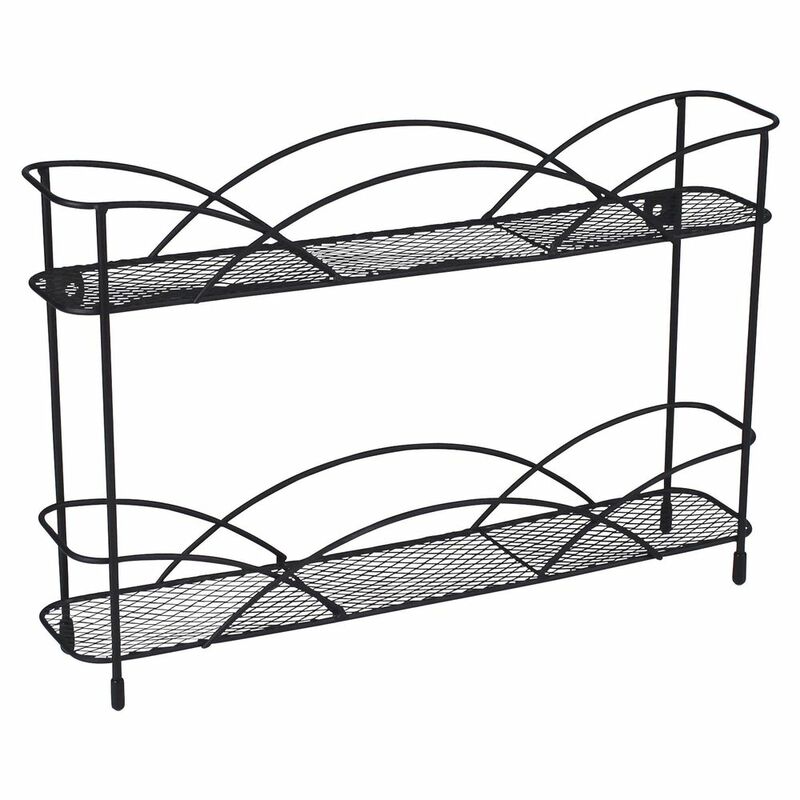 This black nail polish rack is ideal for cosmetic shops and beauty salons.